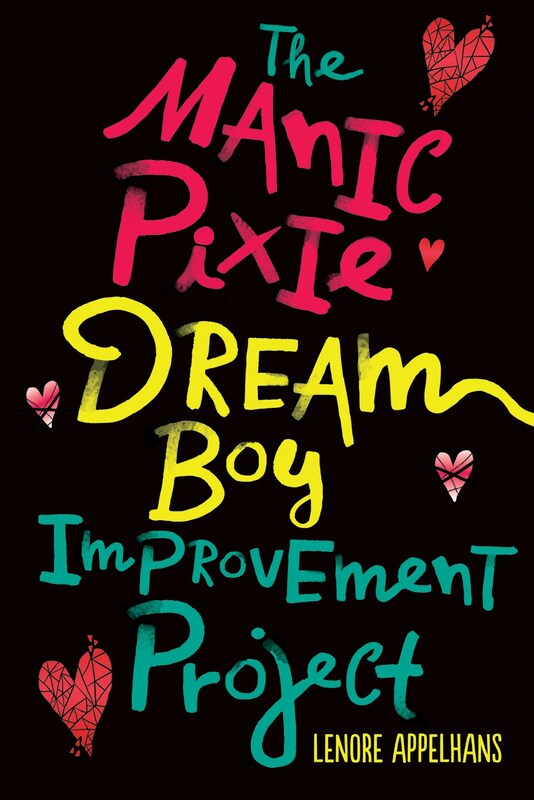 Apocalypsies Love is all about me telling you what I loved about a 2012 debut book written by one of the amazing Apocalypsies. I also chat with the author to gain insight into their very favorite parts of their creation. 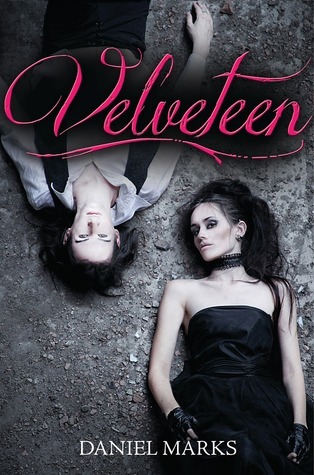 Today I'm featuring VELVETEEN, a YA afterlife thriller set in purgatory. So this is a really, really twisted vision of the afterlife, just as I expected! See, Velvet was murdered by a sadist named Bonesaw, and she slips through the cracks of purgatory back to Earth to try to take her revenge. She's also the head of a crew responsible for tracking down trapped souls - and one day, this leads her to Nick. Marks' vision of purgatory is crazy fun and the world-buidling details he includes are so imaginative. My favorite part of the novel, though, was the chemistry between Velvet and Nick. Velvet is understandably pissed at the world and isn't the easiest girl to love. She's withholding, sarcastic, and obsessed with vengeance. But Nick brings out a softer side in her, and their scenes crackle with sexual tension. If you're like me and are intrigued by books set in the great beyond - you need to check this one out! And now, let's hear from the author himself! Welcome Daniel Marks! Hmm. Tricky. I’m really partial to Velvet and Nick’s racy banter. I think their relationship is really fun and quite complex, as it’s not built on love (in my eyes) but rather blossoms from a complete and utter mistake. The moments following that “mistake” are some of my favorites. Also, I tend to read those scenes back to back at author events. Spoiler: there’s kissing and…other stuff. “She walks a tightrope between psycho and smokin’.” It’s a snippet of conversation Velvet overhears and it really does summarize her pretty well. Plus, I think it’s pretty badass. I’d forgotten it, until a blogger friend, Pam from Bookalicious, brought it up to me. Now, I use it for my promo materials. Purgatory. Every time. I love the rundown nature of a place that’s built entirely of things we living folk wouldn’t necessarily miss if it was stolen in the night. I was absolutely fixated on paper with this book, from the intricacy of Mr. Fassbinder’s origami, to the effigies, to the pressed bricks of the buildings, I couldn’t cram enough of the stuff into the world. I actually took an origami class while I was working on the world, but the best I could fold was a lop-sided box. Sad. Logan. For sure. To paint your readers a—not-so-pretty—picture, Logan is a 12-year old gas-huffing card shark with violent tendencies. He also happens to be trapped in a Grover costume when he’s his ghost self. I love him, he’s brash and ballsy and has a way with a bear trap on a chain. As far as spinning him off, I’m not really interested in spin-offs. Writing series are actually a stretch for me. I much prefer standalone books and worlds and the challenge of creating something new each time. What has been your favorite part of your publishing journey so far? Definitely meeting so many awesome people who are as enthusiastic about books, reading and writing as I am. Before I started writing eight years ago, I was a pretty solitary reader—never joined a book club or online forum and didn’t really discuss what I was reading with others. After I decided to give this a go, a whole other level of social interaction opened up for me. It’s funny because I’d never considered myself to be particularly introverted, but the engagement I’ve found with people I’ve met at conferences, readers and other authors/publishing folk have made me understand that I was more closed off than I’d let myself believe. I’m much happier, now. I wish the actual business end of writing had that same effect. Thanks Daniel! VELVETEEN is available now. Find out more about it at the author's website. Oh, I have heard such great things about this book, and am rather excited about it. It does indeed sound like a strange version of the afterlife, and I would love to read it! I was really sold on the chemistry between Nick and Velvet. Even though it's verboten (or maybe because), it just sizzled.